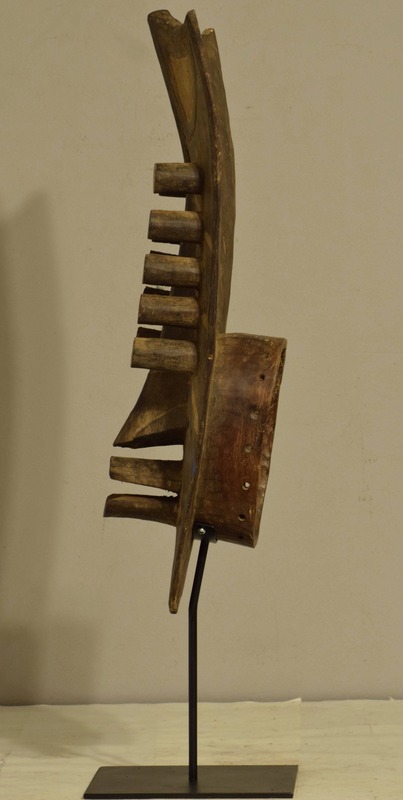 This is a wonderful abstract and whimiscal Painted Grebo Mask from Liberia. Grebo" means "leaping monkey people," a reference to their flight from a former homeland near the Sahara. The ruled known as bodio lives in near total isolation and functions as grand priest. The Grebo sculpt several types of masks which incarnate the spirits of the invisible world who live in the forest. 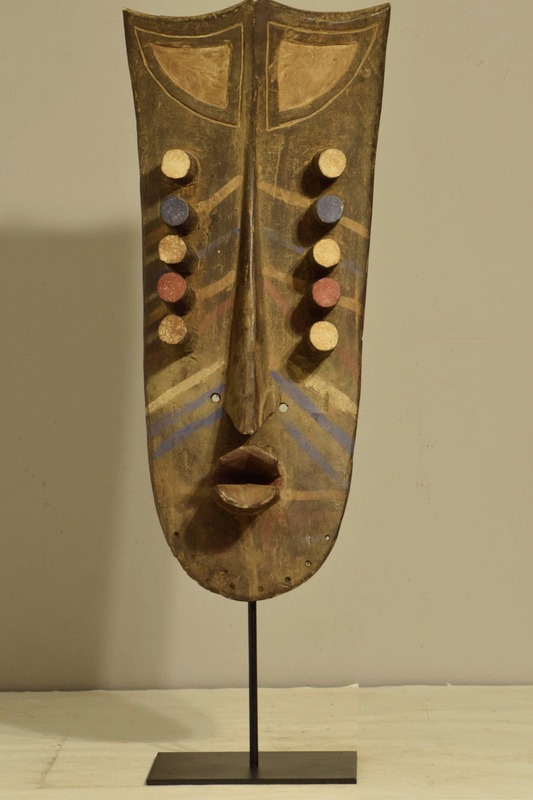 Grebo masks are best known for their influence on early western modern art being found in the collection of Picasso who obtained a Grebo mask from his dealer Kahnweiler in Paris. Produced by initiates of a very high level, these masks appeared during rituals reserved for initiates and at the time of celebrations when the whole population was able to see them. Since the masks often have multiple pairs of eyes, they may depict seers. Though not worn for warfare today they are worn at the funeral ceremonies of elders. This is a wonderful and unique mask to add to your collection or home. This mask is in good condition, but shows some age.